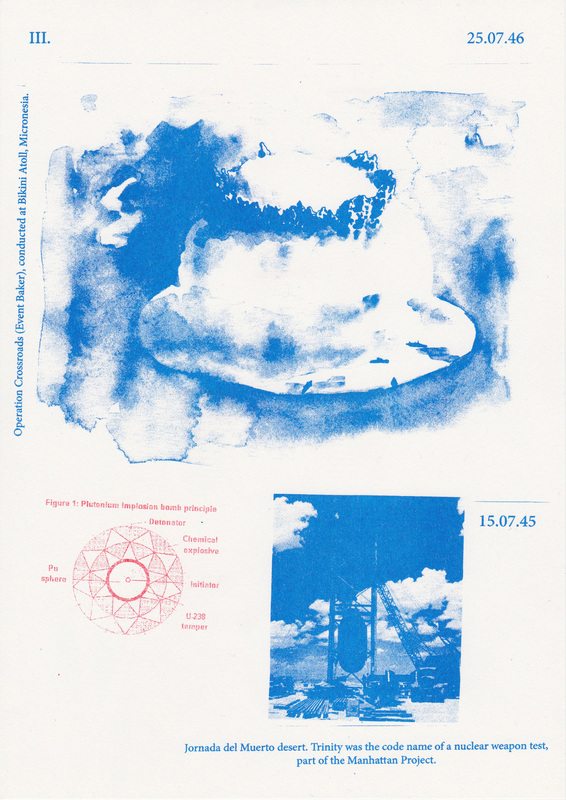 The construction of fire and other stories (2015) is an edition of 15 copies of 20 risograph prints, that can be viewed as publication or as wall installation. 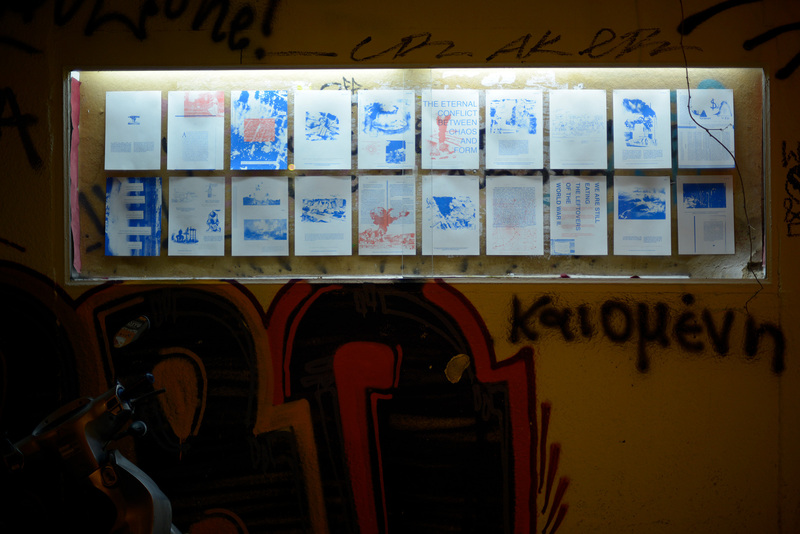 e starting point for this work was to construct an archive of events that involve re and architecture. Fire as of the uncontrollable or the unknown; the mysterious power of the creation of the universe that is still beyond our comprehension. Architecture as of the whole of anthropogenic processes, the ultimate man-made form, that became so dominant that started to change the course of geological forces. 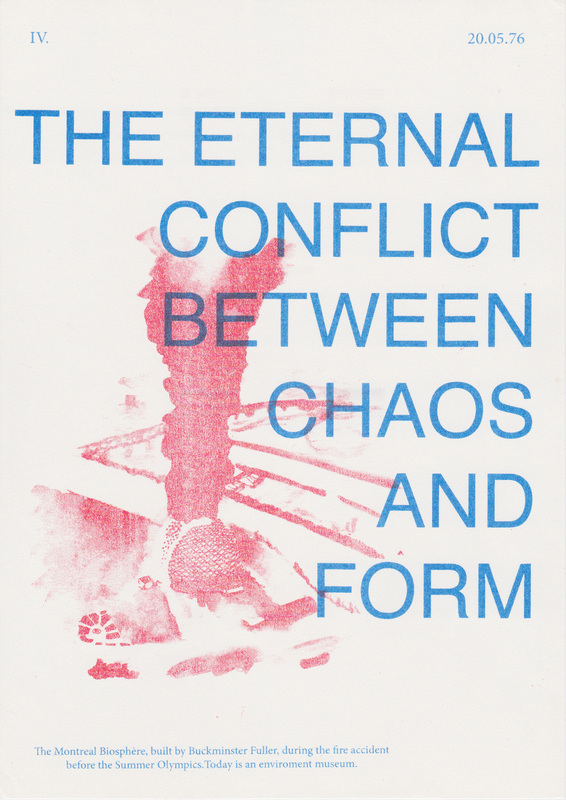 e archive is an attempt to document ‘the eternal conict between chaos and form’; mankind’s attempts to recreate the ultimate power, the uncontrollable, the birth of the universe. An observer of the archive might notice that such attempts always come at cost of humanity, a cost that is splendidly manifested in the material environment, architecture and cities, that people have built, driven by the immaterial and unseen infrastructures and forces that constitute the world order, such as economy and (geo)politics.